Ensure your garage door is well looked after with our routine maintenance services. If you want to prevent a lot of potential issues, or suspect some moving parts of your door system can do with some proper lubrication, then our team can help. We'll inspect your door for safety issues and take care of any minor repairs on the spot. Over time your safety cables can wear down – we'll inspect them for rust and wear and tear damage and ensure they are in a good working condition. Preventing is always better than reacting. 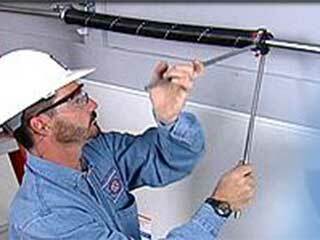 A broken cable can be extremely dangerous and will always need to be handled by an expert technician. But if you have us routinely examine your system, we'll be able to replace it before it breaks, which will help you avoid a lot of potential dangers. Your springs are an important part of your door system and they need to be in a perfect condition in order for the door's operation to be safe. It's a good idea to have our technicians check the condition of your springs every now and again to make sure they haven't accumulated too much wear and tear damage. We'll replace them if they have. If your weather-stripping seals are old, cracked, and hanging off the opening, then they could stop your door from operating properly. Worn material can make your garage more vulnerable to the elements and the incursions of small animals. We will check the condition of your weather-seals and replace any section that looks worse for wear. Call our experts at Garage Door Repair Temecula today to schedule a maintenance appointment. You can rest assured that our professionals will look after your garage door and make sure it stays operational for a long time to come.